While our blog, The fur policy of Canada Goose Inc., revisited, and accompanying video, have shown to be highly in demand, we wanted to provide information to those who may be looking for a quicker read, or who want a starting point in understanding why so many stand against Canada Goose. Canada Goose is back in the news this month following the launch of their initial public offering (IPO). The sale of stocks wasn’t all that media outlets reported, however, with many mentioning or dedicating airtime to the inherently inhumane treatment of the coyotes whose fur eventually adorns the trim of many Canada Goose parkas. Coyotes don’t want to be caught. Traps are designed to either kill or restrain an animal. Those that kill don’t always perform as they should – and in the case of “killing” snares, fail more often than they succeed, leading to slow, agonizing deaths. Those that restrain have to hold an animal that is desperate to get away, leaving them exposed to the elements, other animals, and excruciating self-inflicted injuries. Throughout the entire experience, the animal will be terrified until a trapper eventually returns to kill them. Fur trim isn’t necessary. There is no evidence that fur trim is necessary to stay warm, or that it’s even more effective than other natural, fur-free alternatives – and, since most of the population of North America lives in temperate climates, the arctic conditions Canada Goose claims their parkas are designed for are rarely, if ever, experienced. Fur isn’t ethical or humane. These words are used as marketing gimmicks by the fur industry and the likes of Canada Goose. They hold no weight as their ethics are based on the assumption that killing wildlife is good and necessary, and their concept of humane means nothing given the apparently acceptable level of cruelty seen when the damage and distress caused to animals is witnessed. Coyotes are essential to ecosystems. Science is mounting that shows the attempted removal of coyotes causes an influx in populations – even if 70% are killed, coyotes return in higher numbers than before. The disruption to ecosystems is also notable, as coyotes’ diets consist of fallen fruits and berries, small mammals such as mice and rats, and carrion (animals already dead), and play a major role in maintaining their home ranges. Non-lethal co-existence methods are proving to be more effective at preventing conflict. Coyotes love their families. Both the parents play a role in rearing pups, and valuable life lessons like avoiding people, and finding appropriate meals, need to be taught by them. Adult coyotes mate for life. 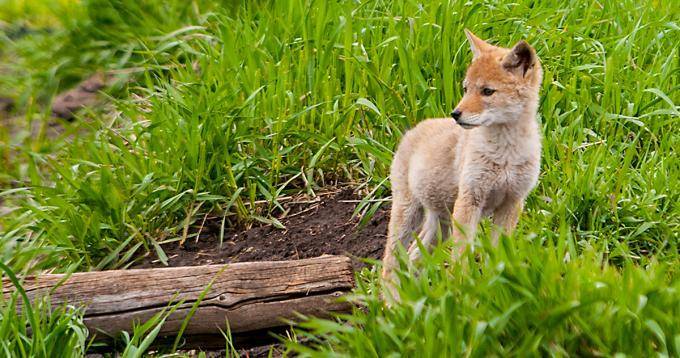 We don’t expect Canada Goose to suddenly decide that coyote fur trim is cruel. But we do know that most Canadians are, at some level, compassionate toward their fellow creatures. They just need to be informed of the true cost of their fur trim, see past the fur industry spin, and learn that they, too, can help to #MakeFurHistory.